To celebrate the fourth anniversary of our Grow FitTM healthy living initiative, we have some ideas for keeping your family healthy throughout the season. As the weather turns cooler and we spend less time outdoors, it doesn’t mean we have to give up healthy life choices. Here’s a few ways to celebrate fitness this October—and all year long. Instead of syrup on your pancakes, try yogurt or applesauce. Blend together frozen strawberries and milk to make a healthier strawberry shake. Instead of juice, try infused water by picking your favorite fruit, adding it to a pitcher of water, and refrigerating for two hours. Swap out white rice for brown rice in a recipe to bump up the fiber! Instead of dipping veggies into ranch, try hummus instead. Make your own with our delicious recipe. Next time you go to work, park in a farther spot than you usually do, and add some steps to your daily walking routine. When you have the chance, take the stairs instead of the elevator. Don’t drive to the park, take a family bike ride instead. 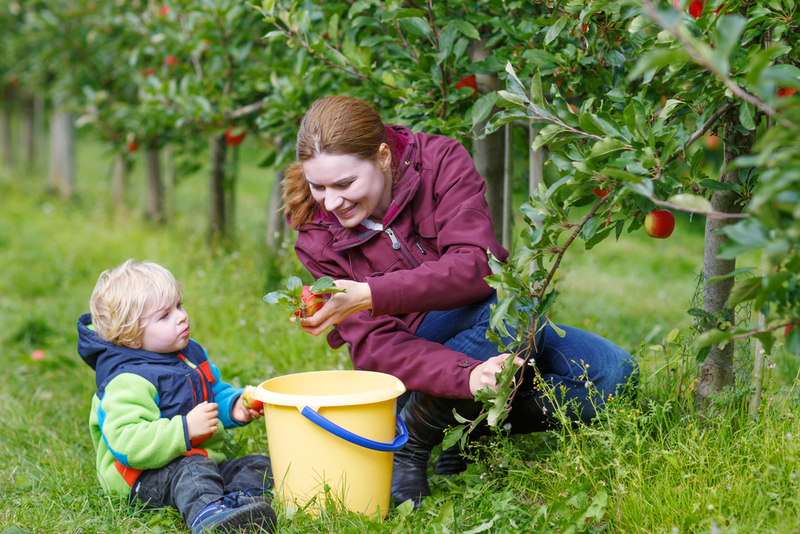 Visit an apple orchard for a hike and to take home some fresh fruit. Remember: A healthy, active family is also a happy family. Stay fit!